Cohen’s lyrics explored all that celebrates both our uniqueness and our sameness — the political issues that pull us, the sexuality that entices us, the relationships that inspire and haunt us. Cohen’s lyrical poetry poignantly merged melancholy with joy, evident in his song “I’m Your Man.” His lyrics taught and also reminded me of the isolation we sometimes feel when left to deal with an uncertain and unpredictable future. My connection with Cohen goes beyond that one stage performance, though; it also encompasses our shared background growing up in the city of our youth — Montreal, the place where he and my three children were born. His hometown of Westmount, an upscale suburb of Montreal, was the same place where my aunt Lilly owned a woman’s clothing store called Lilly Dee. I wonder if the women in his life ever shopped there, and if they had stories to share. Cohen attended McGill University, the same school that brought my husband and me to Montreal for his doctoral work. In the end, Cohen was laid to rest at Mont Royal Park, a scenic spot on a hill in the city’s center, the same park where I strolled with my three kids in the 1980s. I’ve often thought about how we might have walked similar paths, and nodded at each other as we strolled down Montreal’s beautiful cobblestoned streets. Then, I imagined how we would pass each other, walk in two different directions, and yell out, “That’s No Way to Say Good-bye,” as Cohen sings in one of his songs. I’ve learned a lot from Cohen’s creative process I recall hearing him say in an interview that songwriting felt like a bear falling into a beehive or a honey cache — that is, it was like stumbling into something sticky and getting stuck. What he meant was that the process was delicious and horrible, and sometimes not graceful. At the same time, he said that the creative process could be quite awkward and often painful, but that there’s something inevitable about it. I relate to what he said, because when it comes to writing, I see how this career chooses us rather than us choosing it. Writers like me often have no choice but to write. Cohen’s songs are the only ones I am able to listen to during my moments of creative despair, when I have difficulty finding the words to express my feelings. During my moments of darkness, Cohen whispered hope into my ears, especially when I was left alone after a lover and I parted ways. He taught me how grief can lead to illness, but also how passion is the driving force for creativity. His songs always delivered promises of reconciliation and joy, even when the lyrics made me cry. His poetry taught me how to better understand myself and the world around me. As someone who has experienced many losses and who has been on the cusp of life-threatening diseases, many of Cohen’s songs rang true for me. After he passed away recently, some media outlets reported that he’d had cancer, but he actually died in his sleep following an accidental fall. I always find it fascinating how many people know they are going to die. The Buddhists say that we choose when to come into the world and when to leave. A few months before Cohen’s death, he sent a farewell letter to a former lover who was dying of leukemia. He wrote: “Our bodies are falling apart, and I think I will follow you very soon. Know that I am so close behind you that if you stretch out your hand, I think you can reach mine.” Reading this gave me the shivers and was a good example of Cohen’s strong sense of intuition. Perhaps our similar Montreal Jewish heritage is what made me resonate with him, or maybe it’s our mutual lust for life, despite all odds. I so admired his tenacity during that 80th birthday tour as he sang his songs with passion and youthful vigor. He kneeled on the stage, singing and holding the microphone tightly, revealing the same sculpted body that he had in his youth. He was attentive to life’s nuances and desires, whispering how to love a woman in the place where fantasies blossom in late-night dinners, with jukebox songs playing as we danced for love all night long. Cohen also wrote quite a bit about political topics, and I wonder what songs he would have written following the recent election. He passed away on November 7, 2016, the day before we elected a new president. Did Cohen choose to die on that day, intuitively feeling the pall that would hang over the country? We will never know, but what I do know is that I will forever cherish his music and sensibilities. 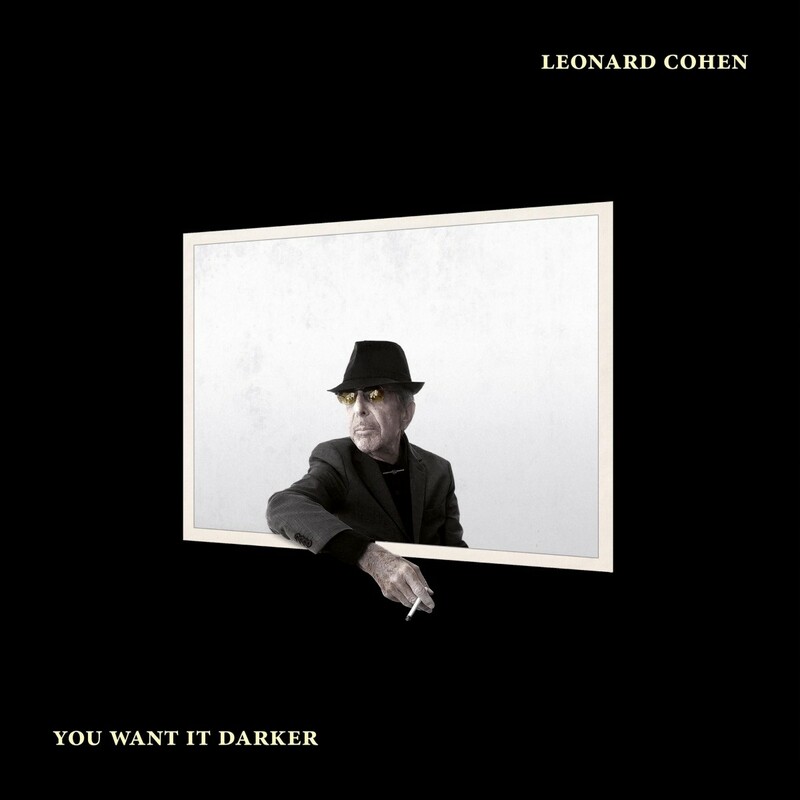 The wisdom and foresight at the end of Cohen’s life led to the October 2016 release of his final album, You Want It Darker. The songs touch upon the theme of death, which he seemed to know was around the corner. He felt it and believed it, and shared it, just as he believed in all the music he created. Cohen taught me the power of creativity and to follow our instincts and for this I thank him. Cohen will be missed but never forgotten. Diana Raab, PhD, is an award-winning memoirist, poet, blogger, and speaker who advocates the healing and transformative powers of writing. She’s the author of eight books, is a regular blogger for Psychology Today, and her essays and poetry have been widely published. Her book, Writing for Bliss: Telling Your Story and Transforming Your Life is due out in September 2017. You can pre-order on Amazon in May.